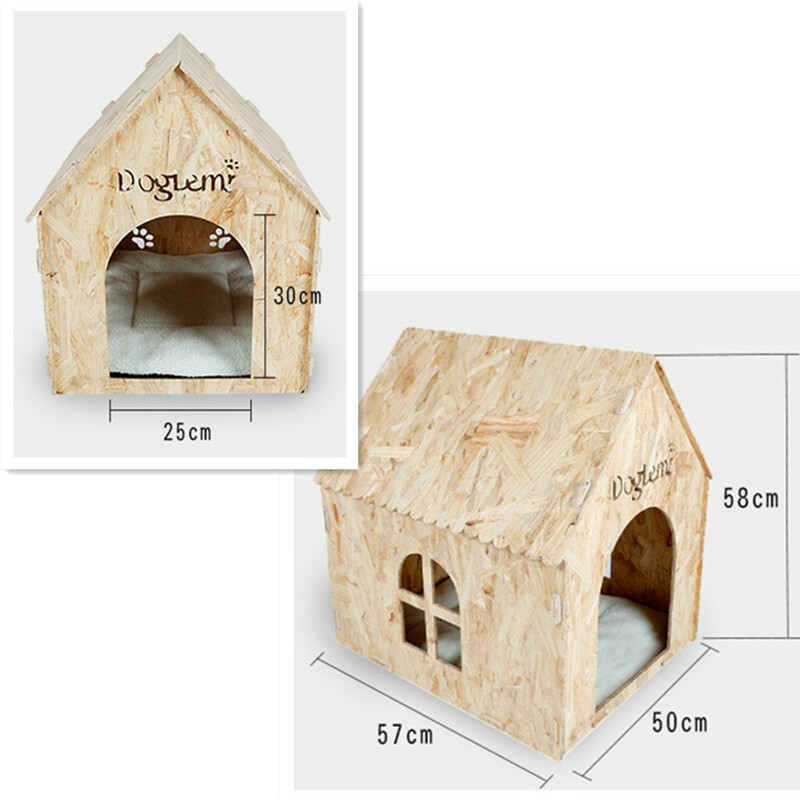 DIMENSIONS:57cm(Length)*50cm(Width)*58cm(Height)(22.4"*19.7"*22.8").Available for small and medium dogs,cats,rabbits,dutch rat and so on. 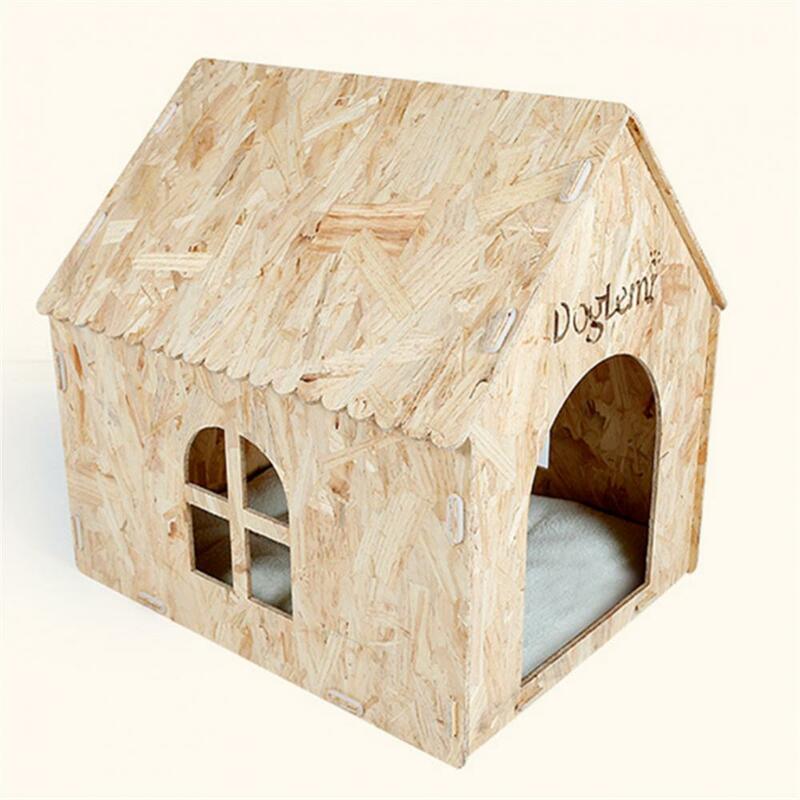 HIGH QUALITY:Made of environmentally friendly wooden board.Give your pet a sturdy villa. EASY ASSMBLY & PROTABLE:Easy to install and remove for easy cleaning.Make sure your pet live safe and clean. 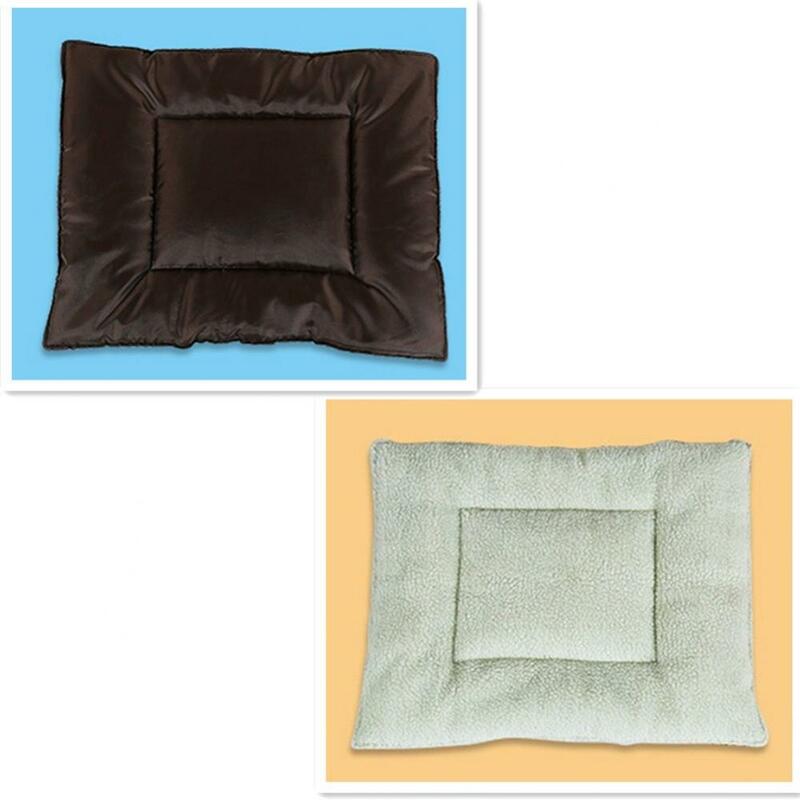 ALL SEASONS:Double-sided bed mat, whether cold or hot weather can make your pet feel comfortable. GOOD VENTILATION:There are windows and vents designed to keep pet house air fresh. 1. According to the picture,stitch seven boards. 2. 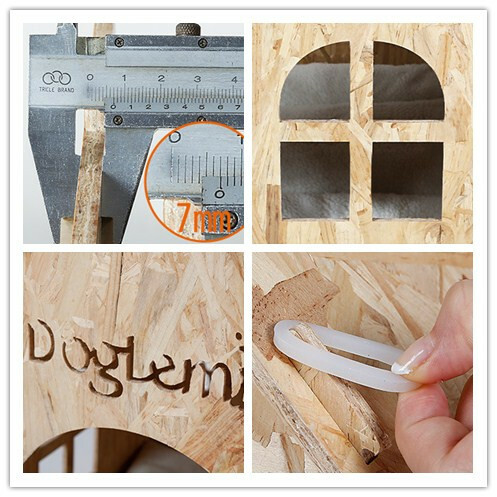 Use rubber band to hold the boards connections. 3. 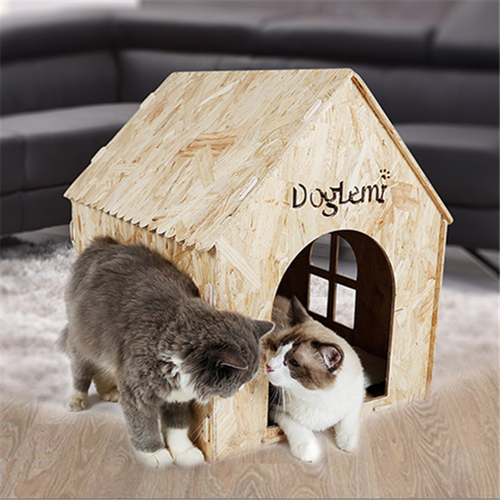 According to the season,select the bed mat facing and put into the pet house. 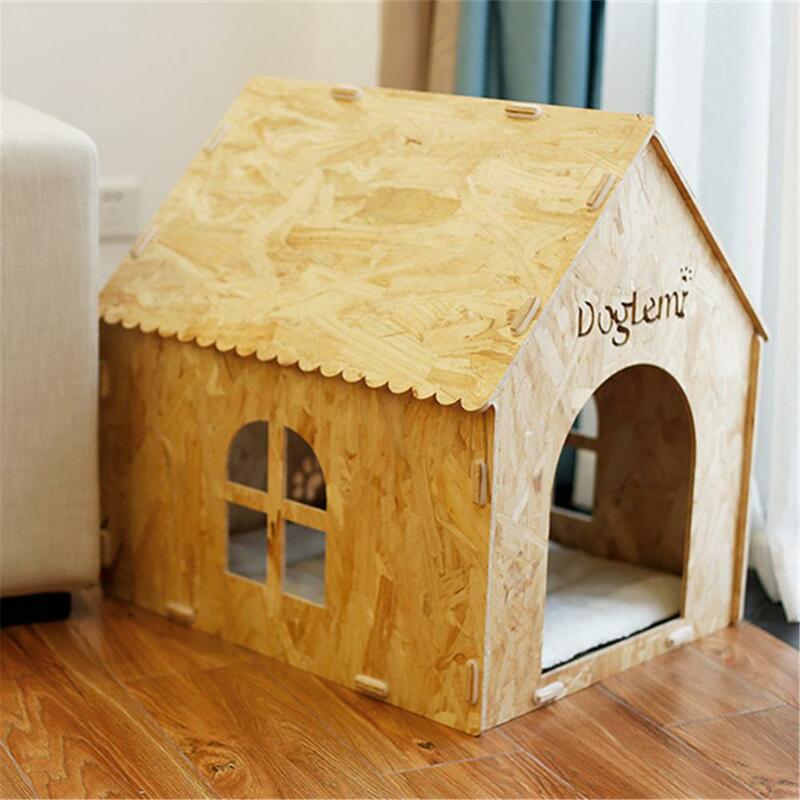 We highly understand how important your beloved pet means to you.So our pet house use high quality material because we don`t want any bad smell might hurt your family members. Bed mat have 2 sides.One side is cashmere can keep warm and damp-proof.One side is oxford cloth can keep cool and no hair stained. 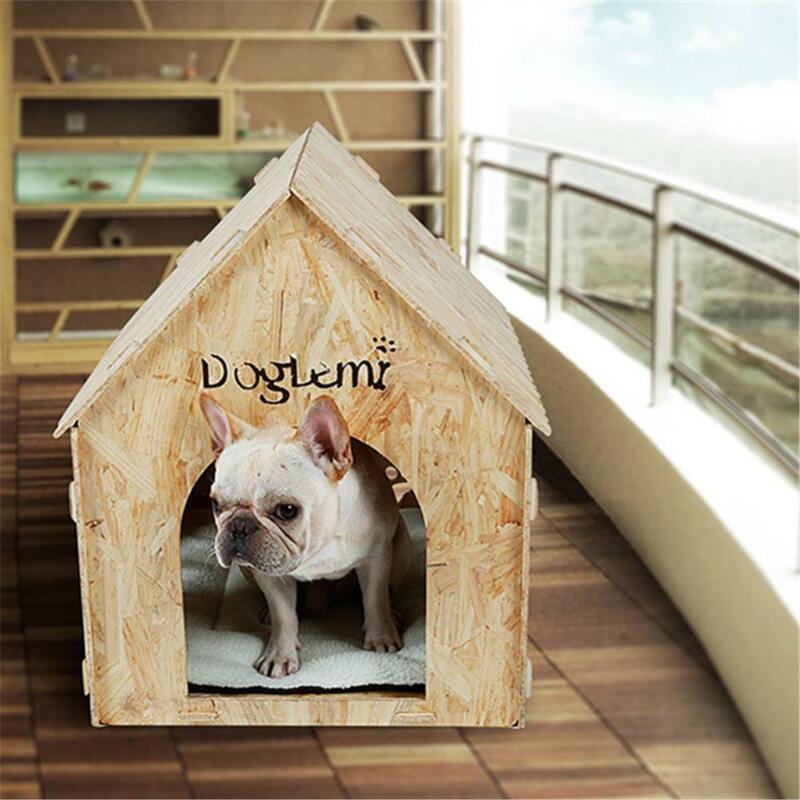 Our design is exactly what our pet needs.If you have a better opinion, please do not hesitate to contact us and let us work together to create a better living environment for our family members.